Accidents. Tooth decay. And those are only two of the reasons why you might have missing teeth. If so, replacing those teeth is important to your smile, your confidence and even your overall wellbeing. At Carlisle Family and Cosmetic Dentistry in Carlisle, PA, we offer a few different options for tooth replacement. One of them is sure to fit your schedule, your budget, and of course, your smile. 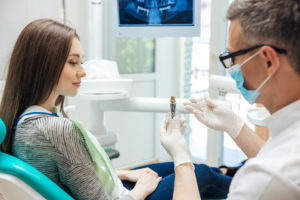 When you come to Carlisle Family and Cosmetic Dentistry for tooth replacement, our dentist, Dr. Thomas Neslund, will consult with you to determine which option is best for you. Whether you choose dentures, bridges or dental implants, you can be certain that your new teeth will look, feel and function just like natural teeth. Removable full and partial dentures consist of replacement teeth that are set in a soft plastic designed to look like your gums. As removable dental prosthetics, these are easy to clean and the most affordable option. However, removable dentures are less secure and have a tendency to slip. A more secure option is fixed dental bridges. These dental prosthetics are not removable. A bridge consists of a row of replacement teeth that are held in place by crowns that are placed on the teeth the sit on either side of your missing teeth. Once Dr. Neslund cements the crowns on the abutment teeth as they are called, you can be sure your new bridge will give you years of natural function and appearance. 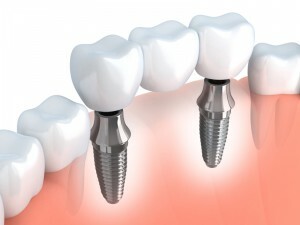 Dental implants are the most lifelike tooth replacement option. In this case, Dr. Neslund implants a titanium post into the jaw bone in the socket of your missing tooth. Once this post has bonded with the bone, a crown is placed on the implant. The finished dental implant offers the best in tooth replacement with a crown that looks like a natural tooth and a titanium post that behaves like a natural tooth root. If you’ve been contending with missing teeth, then call the office of Carlisle Family and Cosmetic Dentistry in Carlisle, PA. We conveniently serve patients in Mechanicsburg, Camp Hill, Boiling Springs, Shippensburg and the surrounding communities.